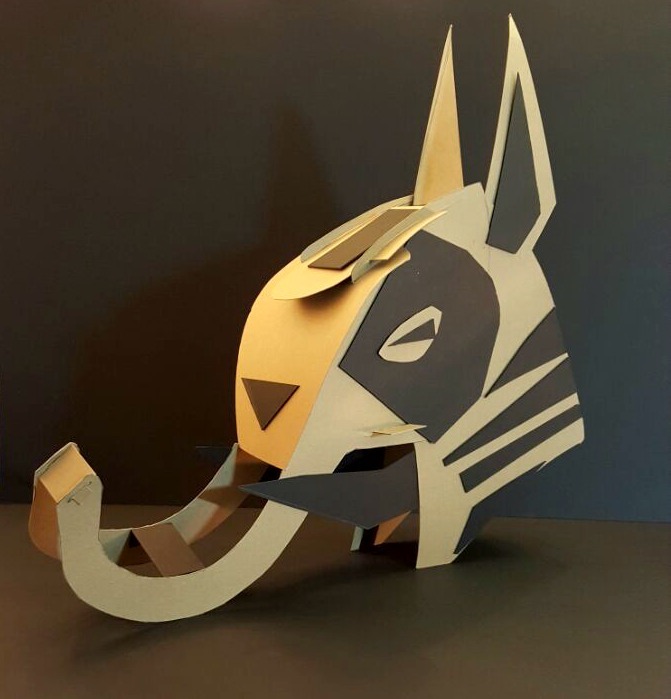 For this studio project, we were tasked with creating an African mask inspired sculpture. I used two-ply chipboard and hot glue, I had great fascination with the African tribes interpretation of the Earth. Natural creatures that live in Africa are my main source of inspiration for my mask. I used black chipboard to accentuate animalistic markings.